Click here to better understand the many challenges self-absorbed partners create for couples therapists. You can also click here to read a transcript of the video on self-absorbed partners. In the video I mention a new tool called the “Engagement Continuum.” I designed it to help self-absorbed partners assess themselves and select desired progress. Download it here and use copies with your clients. In a few days, I’ll send you an in-depth look at shifting the entrenched intrapsychic world of the self-absorbed partner. In the meantime, please write a comment below. I’d appreciate your sharing a strategy you’ve used with your self-absorbed clients and how it worked. Whether or not it was successful, we can all learn from it. The self absorbed partner sounds like narcissism. Would you speak to this please? The self absorbed client doesn’t always attack back when confronted, they often defend their behavior and disengagement by going into woe is me mode and proceed to explain everything they are dealing with and why their life is so difficult and overwhelming. Still keeping the focus on themselves. Thank you for the download form. I will definitely use it. Thank you for the print out! Will use it today! Hi Ellyn…………thank you so much for the Engagement Continuum! I will use it tomorrow as I work with the couple I spoke about in response to the first video in this series. I’m still struggling with wrapping my mind around specific ways to get the self absorbed partner to learn empathy, and to be a ‘giver’ as opposed to a ‘taker’. Yet, I realize the self absorption comes from a place of deep pain and unhealed wounds. This is tough work (although I love it!) and it’s so nice to know ‘we are not alone’. Thank you! 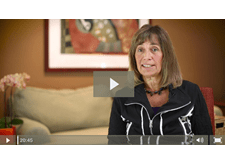 Ellyn, Thank you so much for this fantastic training video and for your unparalleled generosity in sharing it with us all, so that we can understand better what we are up against so often. Because I work with clients who are affected by addiction, I see this a lot. You described me to a tee, when recently a self-absorbed spouse emailed to say they were “taking a break” and I felt relief. She is always complaining about her partner and rarely takes in or expresses gratitude for how hard he tries. Since he is also in early recovery, he can be quite self-absorbed. Between the two of them, it is often like continuously putting out fires. It is especially difficult when they turn on me and tell me how I’m not changing them quickly enough. So, thank you for defining this and helping me see through the chaos, with a lot more clarity. Having listened to this, I know that I can remind her what it takes to create a “flourishing” marriage and let them know if they are wanting to strengthen their weak points, then I am here to help. When I think of what I do that is not that effective, I would say that I am too direct in naming the issue, so I appreciate what both you and Pete have talked about the art of sell something, without informing them what we are selling them (so to speak). I think what I may do that works, is that I genuinely have a lot of compassion for people and it comes through most of the time. I remember vividly in my own couples therapy, the moment the light went on and I realized “I’m not as giving a partner as I thought I was”. It was (and continues to be) a powerful awakening and one I sometimes share with clients, if it feels appropriate. Lastly, the idea of helping partners recognize how self sabotaging complaining is, is something I took away. This is relevant to me because I recently was on a meditation retreat, and one of the themes presented in growing spiritually is trying to “live life without complaint”. It’s necessary for us to evolve as individuals. Thank you Ellyn for this great presentation. I remember a former individual client who was so self-absorbed that she would monopolize all the sessions. I had tried to deal with this situation by some self-disclosures regarding my countertransference while also honouring her defense. In couple sessions, I try to deal with it by emphasizing that the two are on the same team, that if only one wins, it actually means that they are both losing. To this end, I make some process comments pointing out that the self-absorbed one actually loses the other partner as a listener through one’s endless talking. So I often interrupt their speech while also making sure that I utterly respect them. I think this is an effective strategy, but it goes without saying that this is only a beginning. To answer your last post, yes, it makes sense that this is another form of self-absorption. He is preoccupied with his own judgments and does not feel the necessity to inquire the validity of them (by engaging in a dialogue with the other) as indicated by his perseverance on his judgments. Your second presentation is even better. Thank you for these! Thanks for this great input, and for your insights, Ellyn! I can think of partners of two couples who presented as very self absorbed – they did not like working with the I:i, and dropped out of therapy. The husband of one couple still attends for support as they go through separation, and his wife ‘uses’ the young children to promote her view: she is in a very powerful position! I wish I had the insight of this series earlier to keep her engaged! She stuck me as somewhat narcissistic, and I certainly did not warm to her, which must have shown itself, I am disappointed to say ! but I did not realise how powerful a position she has, in this relationship. I saw an interesting form of self-preoccupation yesterday. A man who makes very rapid judgments about his wife, perseverates on them and is so sure they are accurate that he never questions himself or her. What do you all think? Is that self-absorption? These videos are fantastic. Thanks! And such a great way to use the internet to teach and share information. I am reading/watching this whilst undertaking your Level I of the Developmental Model approach to couples counseling. I can see now from a session several weeks ago with a couple that – perhaps – both individuals are self-absorbed; she professes to be a talker (and complains he doesn’t listen); he professes to listen (and yet appears to know little about her worries/concerns). In your video 2; the Fourth point, that self-absorbed partners threaten to quit therapy resonates with me. I am seeing this couple again, after a break of >4 weeks (owing to their travel and my own), I had thought I had ‘pushed’ him too much on our last session, and yet I can see now that the intervention/confrontation may have been just enough (surprisingly!) to keep him in therapy. The Engagement Continuum will be one of my first interventions when they return; I would posit that each of them is at no. 1 or 2, or perhaps 3; certainly no further along than that! Following this, I plan to formally introduce the I-I intervention; it has been difficult for me to feel ‘confident’ enough to bring up this intervention, formally. But I believe after this hiatus, this challenge and now this useful Handout of the Engagement Continuum, I will have set the scene for some good work on the I-I. Thanks for this video series, it complements the Developmental Model and serves as (yet another) useful way of approaching these very deep and thoroughly researched concepts with our clients. Thank you for providing such useful, logical, simple (yet effective) Handouts. You & Pete give the best couple tx training I’ve had. I use EMDR with couples, and find doing EMDR with the early attachment wounds of the self-absorbed client is great for many reasons. They both get that the other is “not about me”; the selfish one gets focused attention; and he or she often gets healed enough to notice that there’s another person there. I wrote a chapter about using your model with EMDR in EMDR Solutions: Pathways to Healing, citing you both, of course. Thanks for what you both do! I work with an older couple, one of whom is seriously, chronically ill. Her partner, who I call the self-absorbed person, initially threatened her with divorce whenever he felt she didn’t listen, or “try to help” in ways he desired. She was unwilling to change anything by the time they entered therapy and he only wanted to change her. While they were unable to do the I-I process, they responded well to mirroring and doubling in that they were each able to soften a little bit. I moved on to noting to the self absorbed partner that it seems that his bucket is never full, for as soon as his partner tries to please him or do what he asks, either it isn’t done right or he has an immediate escalation of demand. Surprisingly, he was able to hear this, and we have moved into working on knowing what can be changed, and how to sit with the feelings when things cannot be changed and he is even starting to recognize when he is getting stuck and try to sort out what can be changed and what cannot. As chronic illness is a moving target and this is an older couple, I often work with the wife about double binds and how she responds to the challenges she is facing and although her partner is not yet asking these questions himself, I am seeing progress albeit very slow over time.Gentle confrontations with humor work well with this particular couple. This is a great example. Chronic illness can trigger self-absorption. The caregiver is in a difficult position as often support and empathy are hard to come by. Barbara – your comment “but I often find they are terrified of intimacy and will do anything to avoid it, often coming across as cold and rather mean. Getting to the fear reveals an entirely different story.” is spot on. This is why therapists are often in the business of trying to give our “customers” AKA clients/patients what they need but do not directly ask for. 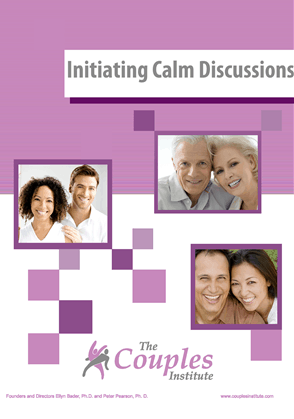 it is one the aspects of couples therapy that makes it so challenging. Great work. Appreciate the fruit of your long journey working with couples. Looking forward to your next video. Thank you Ellyn for your willingness to share what’s been helpful to you and to the people who come to you for help. One thing that I’ve found helpful in opening a dialogue with someone who could ostensibly be considered ‘self-absorbed’ (as has already been mentioned, the roots often seem to lie somewhere in the vicinity of intimacy fears founded from early life experiences) is to begin by asking them how they would like to be viewed by their partner, i.e. what words would they like to hear their partner say when asked to describe them? Then, depending on their level of receptivity, going further and asking them to look at whether or not their actions fit any of those terms. It’s not quite the same as asking them what they hope their relationship legacy will be, but it seems to help get them on track to allowing that their view and their partner’s view can be markedly different, and sometimes begins to reconnect them to their inner vision that got lost in the external protective behaviors. Great chart — gives one something tangible to work from! Great video with helpful and practical ideas. I have a couple and in some ways both are kind of self absorbed each concerned with his own issues past and present which gives little chance for them to show support and be giving in a way which can strengthen them as a couple. I often ask them to identify things the other has done that showed caring and to try to magnify it. While their hectic life is going on they rarely see it. THe problem is that they can do this when they are in session with me but not at home. Thank vou for the insights you given me about self-absorbed parnters and how to deal as a coach/therapist with them. I see now that I have been in a relationship with an self absorde person… we broke up after 4 years of a lot of difficulties with eachother, Is it also common with self absorbed partners, that they blame the other person for being the reason for the relationship problem etc instead of looking at their own behaviour and what theireffect is on the other person? Another great video Ellyn, thanks! Really appreciate your careful thinking about this important and under-appreciated topic! And love the continuum – like the I-I continuum’s it’s a beautiful way for both therapist and client to conceptualize/visualize the developmental stages. Thank you for making a sense of community with your generous sharing of your work and tools, Ellen, of sharing yourself in the process. What you’re saying about self-absorption, the struggle for empathy and the I-thou understanding makes such sense to me. And it fits that we will be looking more at the intra-psychic wounding that contributes to this struggle in couples, since I imagine this is a major source of the problem. You are very familiar with the Imago theories, Giving clients enough support as well as challenge on the road to accessing empathy is one of the greatest challenges for early wounded couples, so your map is a great gift, thank you! It will also be useful working with individuals, parents and teenagers. And yes, I do identify with the counter-transference possibilities. And confess a degree relief when clients choose to take this work elsewhere 😉 so thanks for your insight! Once the Client feels thoroughly validated and empathized, I ask him what he thought the affect of this conversation is on his partner. Often times, difficult clients have a greater capacity for empathy for others once they have felt heard. It’s like a child, kicking and screaming for attention. If you hold them while they’re kicking and screaming, often they calm down more quickly and are able to be more present. And with consistency (the key), they often require less kicking and screaming in the future. I could be wrong. But it seems to work. And I find I rarely have couples drop out of therapy if the Self-Absorbed Partner feels heard. Thank you for this. I will be using the Engagement Continuum immediately! wow Ellyn, we are only on video #2 and it’s apparent how much time and energy you have put into a topic that is under researched yet so pervasive in our work. I love the videos not only for the educational aspect, but also because it brings us all together in a supportive network to learn how to better help people. Something I did that helped with a self absorbed client I had… was I set up a Gestalt 2-chair exercise in the room. In one chair, he represented the side of him that feels like his wife should never ever have any complaints about him. In the other chair, it was the part of him that felt differently (a less childlike ego state). It was illuminating to him, but still, integrating the information that surfaced in that session has been a process. But it’s nice that I can keep referring to that session. And, the information that surfaced didn’t come from me, it came from my client, so I’m met with less resistance. “Bill, you are so smart and I have a lot of respect for how good you are at your job but a real challenge for you is how self-absorbed you are. Has anyone ever said anything like this to you before?? He actually did an OK job of taking this feedback in and the next week he was better at not taking up almost the entire session. He gradually improved but then would regress when the wife wanted to get a separation. What was interesting was how I was off track as Bill was not really the narcissistic guy I thought he was. By the end of the therapy (he has his wife had divorced) Bill seemed to show more empathy and what you are teaching is showing how important a differentiated diagnosis is with the patient who appears to be self-absorbed/narcissistic. I think it is very important to like both partners and get the counter transference flipped as soon as it shows up. Thanks for your help in this arena. I look forward to more of your great training!! Graciela and Barbara-Thanks for jumping in so quickly with your astute comments. I love this process of learning. I continually stretch myself to find better and better ways to help couples. Self-absorption can wreak such devastation in what started as a loving partnerships with wonderful dreams. I thank you for your excellent video. Your explanations are simple, cristal clear, and a the same time sophisticated and based in a long and fruitful experience. It was a pleasure hearing you and I feel I learned a lot. In my view, self centered patients are difficult because they arouse your own doubts about yourself. As narcissists, they are specialists in pushing the right buttons, with unbelievable accuracy, and hey excell at sending you miles away. As you say, it is extremely important for us therapists to know what these buttons are, so that we can make our best to understand that even if they succeeded in pushing them, they are wholly unaware of them. It is our task to neutralize them and being able to overcome the personal traps in order to be as free as possible to help patients overcome their problems. Not an easy tasks, but I think that a good personal therapy really helps the therapist. Thank you for your generosity and your goodwill to be with us in our difficult enterprise of trying to help couples! Really enjoying this discussion, Ellyn. I could make many comments, but one interesting subset of self-absorbed clients I’ve worked with are those who are fearful of intimacy, and hold back from inquiring about their partners for fear of opening doors to deeper communication that will stir up more anxiety than they can handle. This is somewhat different than the more narcissistic types you’re referring to. They do however often keep to themselves, focus way too much on themselves and their own concerns, don’t tend to think of their partner’s needs much, don’t ask how their day went, etc. Their partners often feel lonely in the relationship but can’t get them to connect. Since these same self-absorbed partners sometimes end up having affairs (one of my specialties) their own partner is often shocked. I also work with some clients who were adopted and find many have put up a wall between themselves and their partners making it appear they are self-absorbed and self-centered, but I often find they are terrified of intimacy and will do anything to avoid it, often coming across as cold and rather mean. Getting to the fear reveals an entirely different story. Trying to get a self-absorbed partner or couple to practice empathy skills does not work. Neither does reframing. Looking at more intrapsychic hindrances may work better. Firstly thank you for all the resources you freely supply. I view this “self-absorbed” issue as a narcissistic process, in doing so I recall that this process is coming from an early wound. this helps me to identify the Child in the client and empathise with them. It does require a strong therapeutic magnifying glass at times!